Book Disclaimer: I was provided a copy of this book by Kregel Academic. Who is Jesus? What can we know about Jesus, especially if we decide to disregard the Bible as mostly religious propaganda? These were some of the questions of the various times scholarship has gone on a “quest for the historical Jesus.” Ultimately, even though the conclusions have greatly varied, these scholarly efforts have an effect throughout New Testament scholarship. Sorting through the various ideas promulgated by the “quests for the historical Jesus” throughout history requires one to read a multitude of books and primary sources. 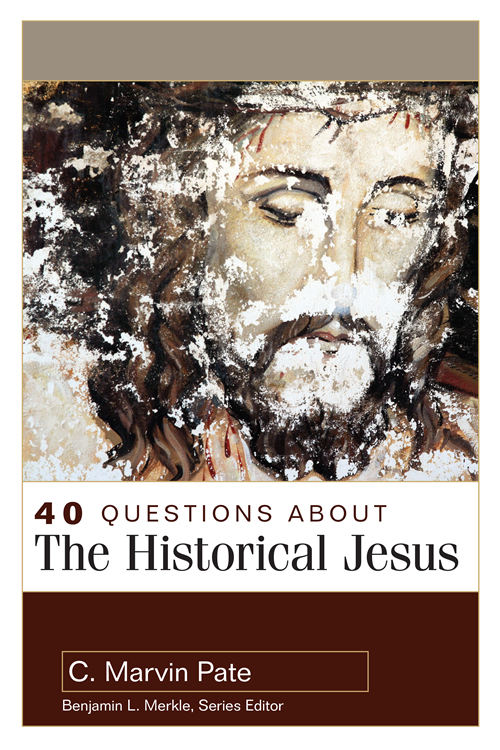 However, getting a starting point can be found in C. Marvin Pate’s 40 Questions about the Historical Jesus. This latest entry in Kregel’s 40 Questions series presents a summary of the various views. Further, Pate provides a basic response to several of the questions that the Jesus Quests have sought to answer. How is this structured? Well, if you haven’t really thought it about it…there are 40 questions posed, ranging from the history of theology leading to the “Quest for the historical Jesus” to the questions those quests attempted to answer. Each of these 40 is narrowly focused and answered from an orthodox perspective. The introductory material provides some of the modern reasons for understanding the truth of who Jesus is historically. These are no longer merely academic pursuits: modern media has brought some of the fringe to the forefront, allowing even long-debunked theories “equal time.” Ministers and Bible nerds, you need to have at least one easily accessed reference point to demonstrate the truth.